(Newser) – A British teenager accused of wasting police time with a complaint about her ex-boyfriend was murdered by the same man less than six months later, prosecutors say. 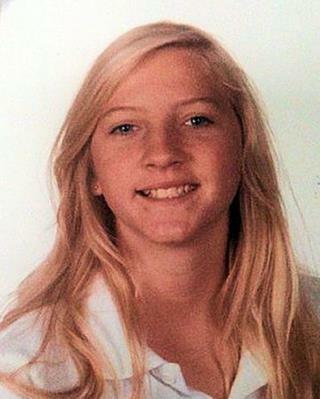 Shana Grice, 19, was found dead with her throat cut in her Brighton home in August last year, the Independent reports. In March, she had been charged with "having caused wasteful employment of police by making a false report" after she accused 27-year-old Michael Lane of assaulting her but failed to tell officers that they had an on-and-off relationship. A month before that report, she had complained to police that Lane was stalking her and left a note on her new boyfriend's car saying, "Shana will always cheat on you." Mental illness like this is why non-lethal eugenic studies should continue. I don't know if it reassuring that other countries' public security forces are just as fu**ed up as the US or frightening as hell. I'm just glad that I live in a country where every one, including resident aliens, is encouraged to carry a concealed weapon. A month before that report, she had complained to police that Lane was stalking her and left a note on her new boyfriend's car saying, "Shana will always cheat on you." Another insecure, p-whipped loser. Never understood why guys would go through such extremes. . . . there are other women to move onto.